I was driving to work on the 13th January 2005 and was late again. However, I had resigned and only had two more weeks to work, so I was not particularly worried. I was mulling over what I had to do that day, whilst half listening to the radio, and keeping an eye on the time – it was 8:20am, which meant that if all went right, I might just get to the office in time. All of a sudden, the cars in front of me slowed down for a reason that I could not see. I was wondering why people were slowing down and then I saw her. I can’t tell you what I thought she was, as I really didn’t know, but she was some kind of animal. She was crossing Francie van Zijl Drive in Elsies River – a very busy four lane road with an island in the middle. I was in the right hand lane at the time, but something made me decide then and there that whatever this creature was, I needed to save her. I managed to get into the left lane and then onto the shoulder of the road and I then started reversing back down the road looking for this tiny black animal. I eventually spotted her climbing onto the pavement on the opposite side of the road. I did not have time to marvel at the fact that this tiny creature had just crossed four lanes of rush hour traffic before I bolted across the road to fetch her. She saw me coming and I give her credit for trying to run away from me, but it was no contest. I caught up with her walking at normal speed. It was then that I realised that I had a dog. She was absolutely revolting. There is no other word to describe her. She had an advanced stage of mange, and it looked as if her right hind leg was broken. She was skinny and as a result of the mange, had no fur. She looked like a little monkey cross alien! I took her to the office and found her a copier paper box which became her first home. She spent most of the day asleep in the box, probably exhausted from whatever she had been doing in her life up till then. My colleagues doted on her and fed her all number of things from porridge to sandwiches. By the time it was home time, we had named her “Allsorts”, though this was later to change. I had made an appointment with my vet and so I drove her there after work. I wanted him to look at her and tell me if there was any hope. At that stage, I didn’t even know if she was a girl – partly because I didn’t want to pick her up to check, but also because she was so skinny, it was hard to tell. My vet gave her one look and told me that she had sarcoptic mange. This is the highly contagious one. I also asked about her leg and he confirmed that she had a fractured femur – probably broken for around a week and it was starting to heal, very badly. He also estimated her age to be around 8 – 10 weeks old. I asked him if, with all of the above, she was worth saving and I will never forget his words: “Any animal is worth saving”. So, we decided on a plan of action. He would keep her for approximately a week to treat the mange (as I had two other dogs at home already) and his colleague would insert a pin into her femur the next day. Also, once the pin was in, she would have to be kept quiet so keeping her in his hospital would also be ideal. I left her there crying tears of joy that she was going to be okay. I got home and then the realisation of the situation hit me – I didn’t want another dog, I had two already. What was I going to do with another dog? No one else would want her – she was just a common street mutt and having driven that route to work for almost two years, I had seen the number of seemingly homeless dogs walking around. I could have picked up 10 dogs a day if I wanted to. 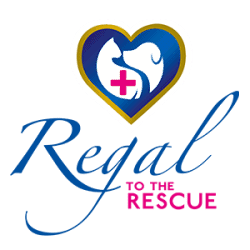 I then remembered what I had said when I started driving that route and saw all those dogs: I couldn’t save them all, but if I ever saw one that had been knocked over but was still alive, or I saw a puppy, I would save them, as they needed a second chance. Here was the puppy that had eluded me for 18 months and two weeks before I was due to leave, she had crossed my path. I took that as a sign. The vet phoned me the next day to tell me that she weighed 1.8kgs – he thought I would want to know that. He needed to weigh her for the anesthetic. He would call me again after the operation. That afternoon he called me to tell me that the operation had been a success and all was fine. Then he told me that she had died! I was horrified. He had just said that she was fine. However he went on to explain that the operation was a success, they were washing their hands and congratulating themselves on a job well done when she stopped breathing. After resuscitating her, they got her breathing again and just when they thought it was fine, she stopped again. Another successful attempt, and then she stopped breathing for the third time and this time her heart stopped beating as well. It had taken them a total of 15 minutes to get her going again but after the third attempt, she kept breathing and her heart continued to beat. Guess she figured that they were not going to let her go. She spent a total of 11 days in hospital and when I went to fetch her, I took my other two dogs along too just to check that they wanted a new sister. All went fine and I took her home. Since that day, life has been a blast. Watching this hairless horror grow into the beautiful dog that she is now was a pleasure to see. She now weighs 22kg and is a large dog! Pumba has excelled in Agility and Jumping, having reaching Grade 3 in SADAA and having represented Boland in the interprovincial team on two occasions. She has received provincial ½ colours for agility. She was also chosen to represent the Boland B Flyball Team (Boland Falcons) in February 2007 and has attained full provincial colours for Flyball. Boland Falcons also won the KUSA Flyball Nationals in 2008 and Pumba proudly sports this title. 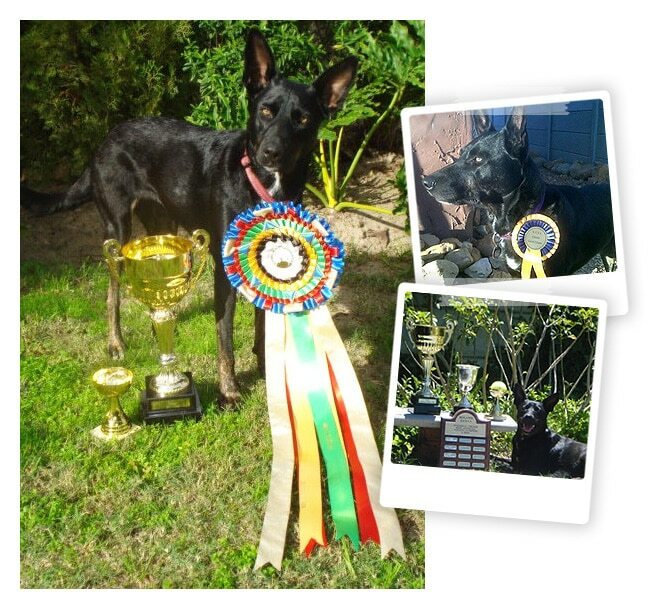 She has also achieved the title of KUSA Flyball Grand Champion, the 7th dog in South Africa to achieve this and she is also a SAFDA Flyball Grand Champion. Pumba also underwent two cruciate repair operations in 2010 and despite these and the months of rehab that followed, she came back fighting and went on to complete the KUSA Canine Good Citizen test which she passed with flying colours. This means that we can now add the letters CGC behind her name as well and she should be readily accepted anywhere as being a “decent dog”. She has subsequently gone on to pass the Silver and Gold level of this test. Pumba is an absolute pleasure to behold, incredibly loving, though also very protective. 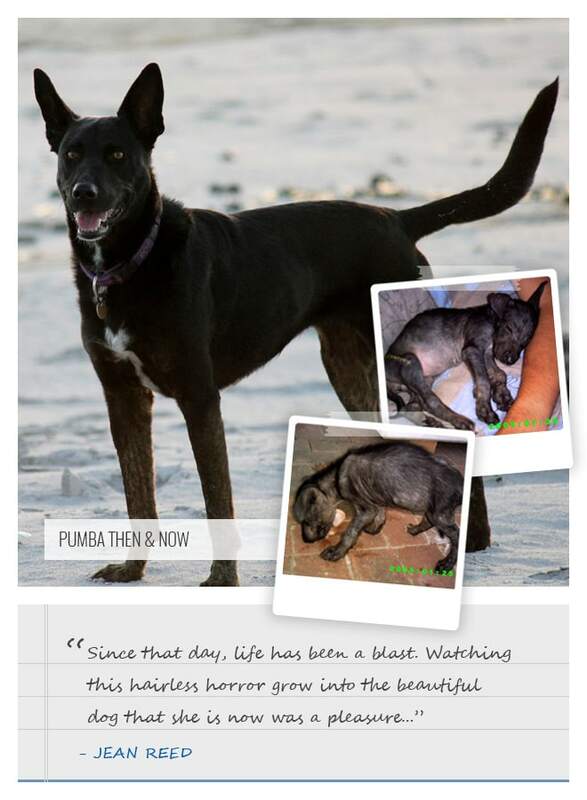 She was named “Pumba” after the warthog in the Lion King as she looked just like a warthog when she had no fur as a puppy, but that name certainly doesn’t suit her now. I have not once regretted the day when I decided to rescue a street mutt. She has made my life richer. As a result of Pumba’s mange as a puppy, she has had a constant problem with her skin which seems more sensitive than “normal” dogs, and she is continually scratching and rubbing her face on the floor, etc. I recently tried using Regal Skin Care and noticed a difference within a day! I started her off on 10ml twice a day, and after a week, took it down to 7.5ml twice a day as I didn’t think she needed the full dosage. It has made such a difference in her life (and mine) in that she is not constantly scratching all the time. If something should cause her to flare up again, I am sure putting her back up to 10ml will do the trick, but for now, on the “maintenance dose” she is doing brilliantly.